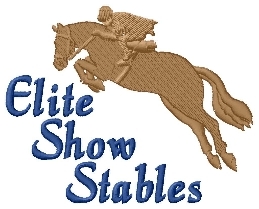 Elite Show Stables is a competitive show barn located in beautiful San Diego, California. We strive for excellence through quality care and training, while always maintaining our goal of "quality not quantity". Elite Show Stables caters to a small group of very dedicated and competitive riders by offering extremely individualized care and attention. Blending excellence, fun, and family you will find our riders competing both locally and out of state at "A" circuit and GSDHJA shows. Elite Show Stables Channel - Click here to visit our youtube channel!!!! "All horses deserve, at least once in their lives, to be loved by a little girl."